A good read. Quick and easy with an entertaining plot based around a flawed German postage stamp commemorating John F. Kennedy. Some parts were a little unbelievable; especially when protagonist Jonah swims 4 miles to shore in the latter part of December without any hint of catching hypothermia! Oh come on, really?!! Putting that aside, there were a few grammatical errors, which could easily be rectified, but not enough to spoil my reading experience. A good effort by author Richard Wiseman. Jonah Parish, recently retired from the Royal Marine Commandos and working in the security industry wakes up on the lawn of a house in Exeter having been drugged. The lawyer he was hired to guard is missing. In tracking down the missing lawyer Jonah is embroiled in a game of cat and mouse with a ruthless gang looking for a rare flawed 1964 West German postage stamp bearing the image of John F Kennedy and worth a million dollars. 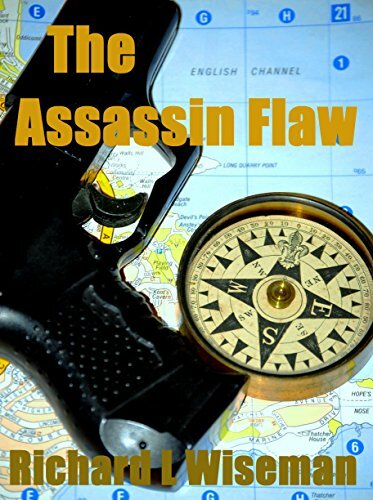 As Jonah delves deeper into the mystery of the 'Assassin Flaw' stamp and the life of the last man to own it, a dead American diplomat Rory Shapter, he uncovers the truth behind one of the twentieth century's most mysterious conspiracy theories, the assassination of John F Kennedy.